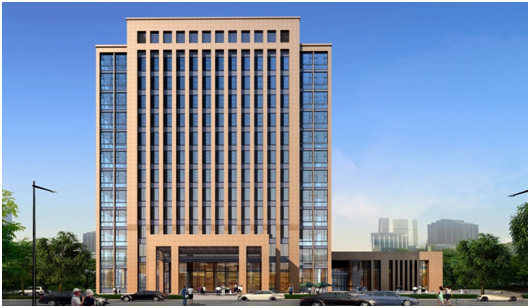 CAS new world environmental protection technology Co.,Ltd is composed of Hefei institute of physical science Chinese academy of science, CAS(Hefei) institute of technology innovation Co.,Ltd and natural person shareholder. It is also the cooperative strategy of Hefei government and Hefei institute of physical science Chinese academy of science, which is one of the initial launched programs in localizing applications. It is the only industrial company of cold plasma technology application on VOCs supported by institute of plasma physics Chinese academy of science. Based on the policy' enjoy the nature, share new world', our company recruits startup team with a batch of masters and doctors, who are committed to the career of environmental protection and cleaner production, aiming to improve the blue water and sky. Our company engages in technical consulting of exhaust gas treatment, research of cold plasma equipment, production and application of engineering services as well as operation service in waste gas treatment. It has established the technical research and application center with the combination of institute of plasma physics Chinese academy of science and environmental protection institute of Anhui province, specializing in technical research and application service. Our company has acquired many authorized patents and software copyrights. In addition, it formulates product standards and technical specifications. Cold plasma with catalytic adsorption technology is recommended by “ five hundreds” project of Anhui municipal committee and it was awarded third prize in the fourth china innovation & entrepreneurship competition(anhui region) and Hefei-Hong Kong innovation & entrepreneurship competition. Now, our company has acquired environmental engineering design qualification certificate, General contracting qualification certificate of environmental pollution treatment and was awarded vice president of the council by environmental protection industry association. In addition, our company obtained Anhui youth entrepreneurship technology run-up to borrow money and angel fund. The current technology of plasma waste gas treatment has applied in many fields, such as removal of odor in municipal waste transfer station, algae water separation station of Chaohu Lake, paint industry, fume purification, etc. The characteristics of high removal rate, well stability of system, low operating cost are appraised by customs with wide prospect.